CRA’s requirement that charities spend no more than 10% of their resources on political activity has been found by Justice Edward Morgan, of the Ontario Superior Court of Justice, to be unconstitutional. Justice Morgan was emphatic. He did not allow the government any time to change the rule to be Charter compliant. In his opinion, the rule was arbitrary and infringed freedom of expression protected in section 2(b) of the Charter; it was an unjustifiable breach and therefore is of no effect. This is welcome news for charities. 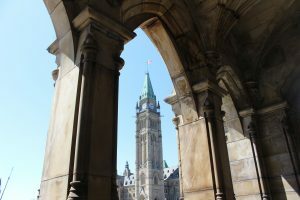 The federal government, over the last number of years, has spent some $13.4 million in its political audit program, according to news reports. Charities have found this program an extra (and an unnecessary) burden to abide by. CRA’s “10% rule” policy limits a charity’s engagement in non-partisan “political activities” to only 10% of its resources. Failure to keep in line with this rule will mean the loss of registered charitable status. The case involved Canada Without Poverty, a non-partisan, not-for-profit, charitable organization dedicated to ending poverty in Canada. It was created in 1971 and since then has ardently championed the rights of individuals experiencing poverty and marginalization through research, awareness-building campaigns, public policy development, and educational programming. Facing the loss of its charitable status as a result of a CRA political audit, the charity was forced to seek relief from the courts. “This is an incredible victory – not only for CWP, but for Canadian democracy,” said CWP’s Executive Director, Leilani Farha. There is no word, yet, if the federal government is going to appeal the decision. However, given the fact that it has publicly criticized the previous government’s emphasis on charity political audits – and given its own Minister of National Revenue’s Consultation Report in 2017 that recommended the deletion of any reference in the Income Tax Act to non-partisan political activities for charities – it may prove very difficult for the government to appeal the decision. In my view, there is no need for the 10% rule. As long as a charity is carrying out its approved charitable purpose while engaged in political activity, it makes no sense to arbitrarily limit such efforts to 10 % of its resources. There are many times when charities must engage in public advocacy through no fault of their own. Take, for example, the Canada Summer Jobs issue. We were forced into action because of an ill-conceived public policy decision of the government, and as a result, we had to (and are continuing to) let our views be known to political leaders. We’ve written letters and participated in meetings with MPs. In other words, we are engaged in “political activity.” It is not partisan. We are focused on the issue, which is of profound significance to many of our members across the country. Yet in the back of our minds we have had to be conscious of this 10% rule. The facts on the ground may mean that we could get close to infringing it – but why have the rule if what we are doing is vital to carrying out our charitable purpose? It not only interferes with our right of expression, but also, in the CSJ issue, with our religious freedom. The government has sought to control the messaging of charities and it is simply wrong. I, for one, applaud Canada Without Poverty for taking the stand it did in challenging this needless and unconstitutional rule. Good riddance, and may the government never appeal!